Sudden death syndrome (SDS) is caused by the soil-borne fungus Fusarium virguliforme. 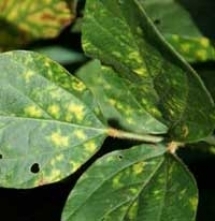 In North America, the disease was first recognized in 1971 in the southern United States, and since then has spread in range and intensity into all major soybean-growing regions of the U.S. and Ontario, Canada. Sudden death syndrome is difficult to manage. There are no soybean varieties completely resistant to SDS, although moderately resistant varieties are available. Planting moderately resistant varieties is the foundation of a SDS management strategy. With the support of the North Central Soybean Research Association, and the Ontario Farm Innovation Program in Canada, a team of plant pathologists in Illinois, Indiana, Iowa, Michigan, Wisconsin, and Ontario have been working together to develop an integrated pest management (IPM) plan for SDS which complements the use of moderately resistant soybeans. 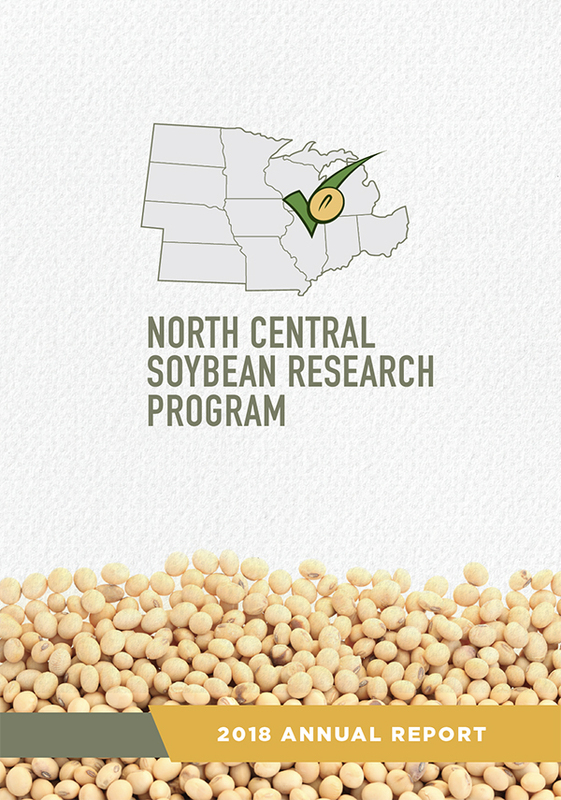 Towards this goal, the team has been conducting regional field experiments to determine the effects of planting date, seed treatments, fungicide application methods, tillage, and the presence of soybean cyst nematode on SDS disease development and soybean yield. 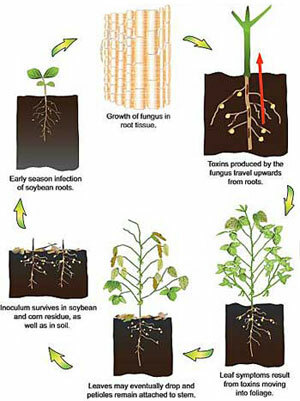 The SDS pathogen overwinters in soil and crop residues and infects soybean seedling roots early in the season. 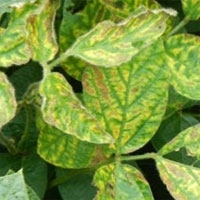 Once the plant is infected, the pathogen can reside in the plant with no noticeable symptoms, although occasional early-season foliar symptoms may be seen. Foliar symptoms typically appear when the plant enters reproductive stages. If the cultivar is susceptible to SDS and weather conditions are favorable, foliar and root rot symptoms can progress quickly. Cool, wet soil conditions can favor infection by soil-borne pathogens and, subsequently, could increase the risk for SDS development. For this reason, farmers may delay planting soybean until soil is warm and dry to minimize risk of infection. 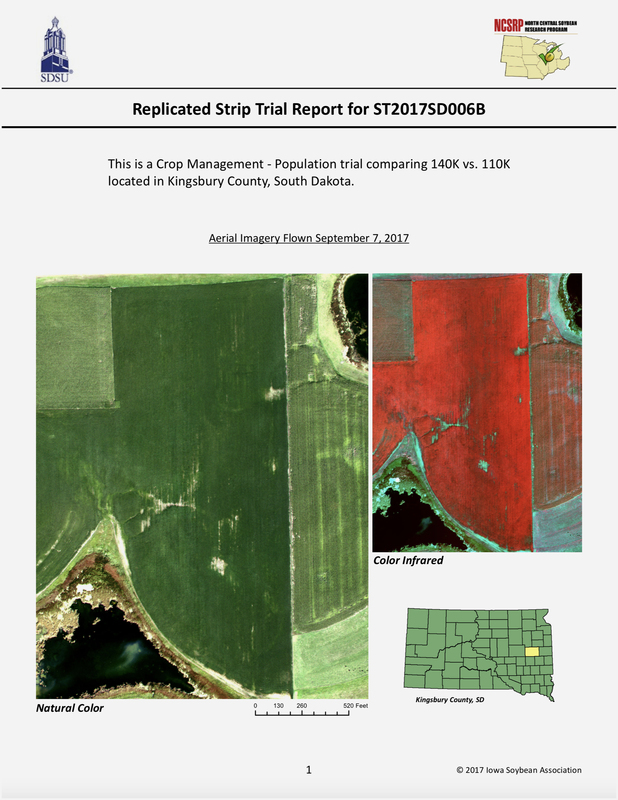 In our regional field tests we did not find that early planting (first week of May in most locations) increased the amount of SDS that developed later in the season compared to mid-May and later plantings, nor did we find a correlation between soil temperature at planting and SDS development. The soil temperature at the early planting dates had reached 55 to 60° F., the minimum germination temperature for soybean. However, late planting (middle-June) reduced yield significantly (up to 19 bu/a) compared to earlier plantings regardless of how much SDS developed. Therefore, we recommend from these studies that delayed planting only be considered in fields with a severe history of the disease. We observed that rainfall during the reproductive phase of the crop was critical to SDS foliar symptom development, regardless of soil temperature at planting. Our field studies confirmed that host resistance plays an important role in SDS management. We compared cultivars that were rated moderately resistant to those rated moderately susceptible by the seed company, and found that moderately resistant cultivars had significantly lower SDS disease index than the moderately susceptible cultivar at all planting dates. Moderately resistant cultivars also yielded more than susceptible cultivars in all locations where SDS foliar symptoms developed. Significantly, when SDS did not develop, moderately resistant cultivars yielded the same as susceptible cultivars. Foliar fungicides and most seed treatments are not effective in reducing SDS. However, the fungicide fluopyram (ILeVO ®, Bayer CropScience), applied as a seed treatment or in-furrow, has some efficacy against SDS, depending on the baseline level of disease. We found that fluopyram increased yield at some locations when SDS disease pressure was high, as measured by the amount of foliar symptoms in control plots. There was no effect on symptoms or yield when disease pressure was low. Fungicide treatments did not affect the amount of the pathogen detected in plant roots. There were a few locations where SDS levels were high but fluopyram did not consistently reduce SDS severity compared with the control. This inconsistency is common and is sometimes observed with moderately resistant cultivars as well. This reinforces the concept that SDS is difficult to manage and is probably strongly affected by soil and environmental factors. Farmers should consider more than one management practice to prevent yield loss due to SDS disease. It is important that farmers understand that fluopyram is an added expense to soybean production, and our research suggests that even with SDS risk factors present, disease may not develop to a level that reduces yield, thereby reducing the economic benefit of the fungicide seed treatment. Our research group summarized the current management recommendations for SDS in the recent publications Sudden Death Syndrome and Scouting Sudden Death Syndrome. See also Using ILeVo with preemergence herbicides. View the video Scouting for Sudden Death Syndrome on YouTube.